Price Reduction!!! Opportunity knocks at Emerson Park community, Corner unit plus extra lot space for privacy, this 3 bedrooms, 2.5 bathrooms ready to move property offer: separate living and dining areas, 42" kitchen cabinets, Stainless Steel Appliances, Pantry, Breakfast bar overlooks family room, granite counters, 1/2 bathroom at first floor, oversized laundry room on the first floor, Master Suite with his and hers sink, walking closer, 2 extra good size bedrooms, all rooms are upstairs for privacy, fenced courtyard to enjoy outside barbecue, Sunday brunch, Detached 2 car garage. 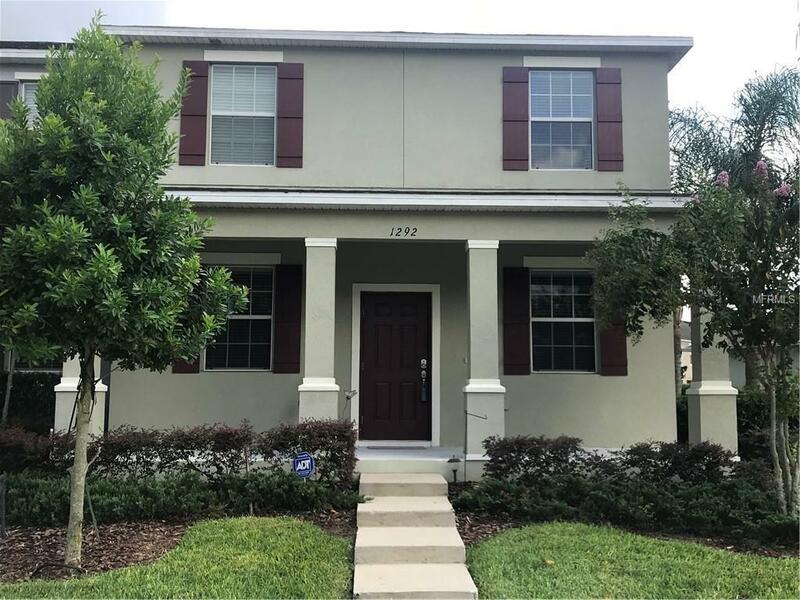 This low maintenance amazing community offers extra-sized pool, gym, playground, recreation facility, across the new Florida Hospital Apopka, easy access to major expressway to access work and attractions. This area is being developed to make your investment grow in a very short time. Emerson Park is " the place" to call Home. Ready to move!!! Call for showings. Listing provided courtesy of Global Connections Realty Inc.